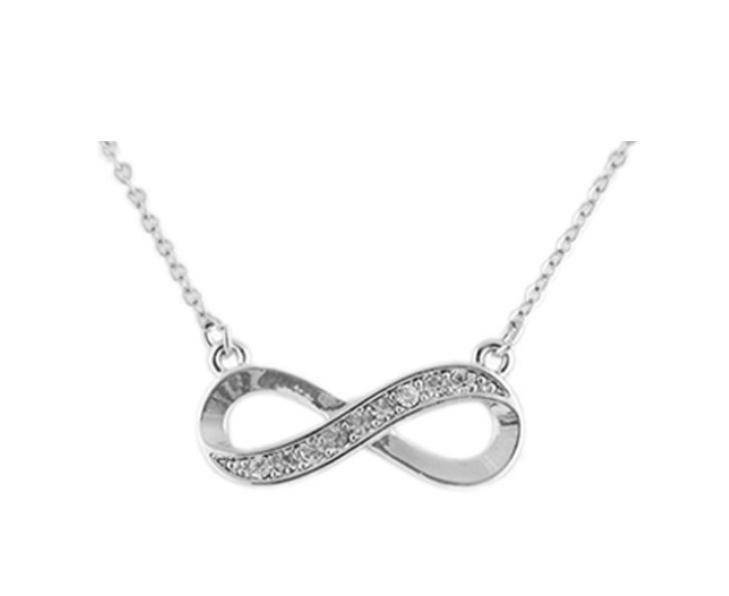 Silver Infinity Necklace just $5.90 Shipped! Home / Deals / Online Deals / Amazon Deals / Silver Infinity Necklace just $5.90 Shipped! IF you are looking for a Gorgeous Stocking Stuffer or cheap gift idea, grab this Silver Infinity Necklace for only $2.95 today! Shipping is only $2.95 and that makes this beautiful necklace only $5.90 shipped!